Julie Nutting Designs: Meet my new friends! Is her table not yummy? Love the colors! I spent time with a couple of ladies I'd like to share with you. 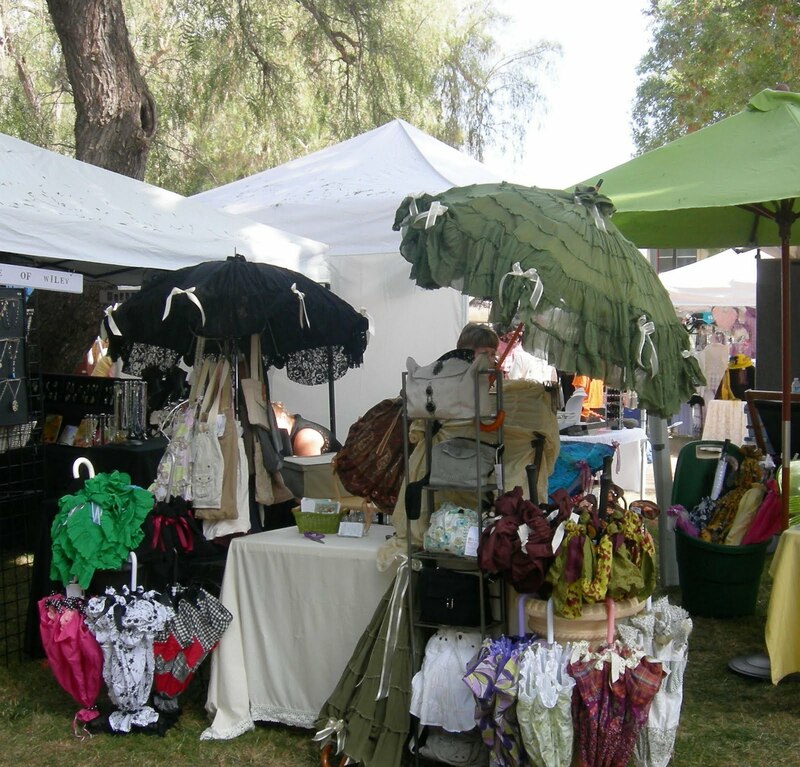 The first, Dodie, who I shared my booth with, repurposed old skirts and made the most gorgeous umbrellas. She has a big spread on them coming up in the August issue of Somerset Home. These sold so well, she was making new ones the entire time we were there. I lost track of how many she sold. She also makes bags of all sizes out of old clothes. She will also have an article in the next Haute Handbags showing off one of her little bagged treasures. Her stuff is truly unique so if you're in So. Ca. 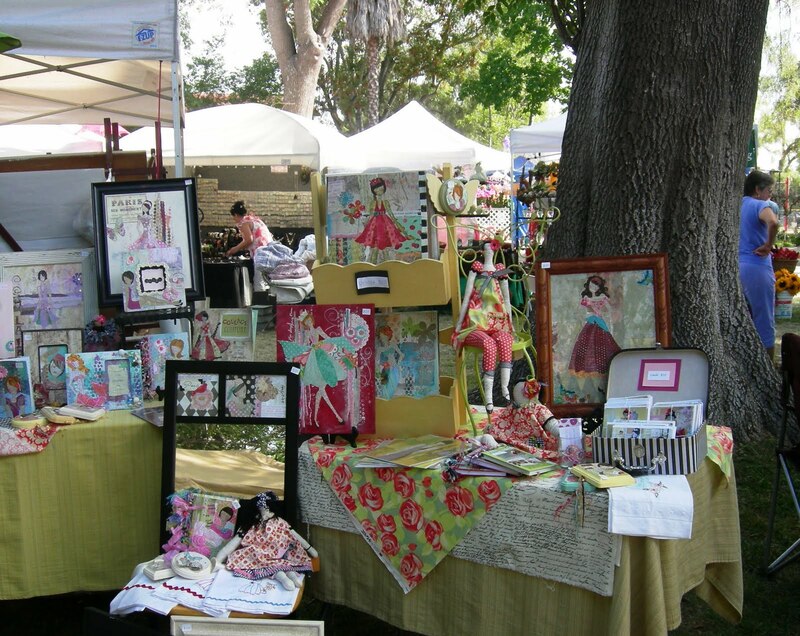 come by and see her at The Vintage Market Place in Rainbow, Sept 9 and 10. By the way this was named in the new issue of Romantic Homes as #10 in the top 50 flea markets. Another reason to come out to Rainbow! Georgia from Modern Crush was the other one I spent some time with. I couldn't stay away from her table! The colors were like that of an old-fashioned candy store! It truly was delicious to look at! 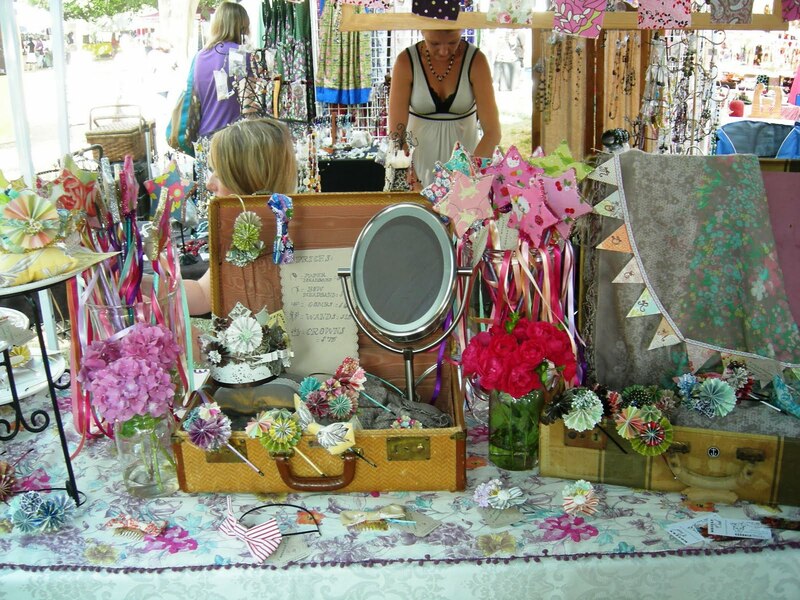 From fairy rings, crowns and wands to the most yummy paper flower goodies, her table was a treat to feast your eyes on. Loved being around these two and getting to know them better. All in all it was a good show. The highlight of my weekend was when a woman came and let her 3 daughters each pick out one of my originals for their rooms. The girls ranged in age from about 9 - 15 and they were so appreciative towards their mom and to me also. You can imagine how I felt when their mom told them they now have their first "real" art! It was such a pleasure watching them choose! I LoVe Dodie's umbrellas, so clever and original. And Modern Crush has the most delightful fabrics. It is like one big party of pretties ! Thank you for sharing the photos & your new friends. Thanks so much Julie for the kind words! Hanging with you was definitely the highlight of the weekend! I got to hang with someone famous... :) I am so glad the show ended up good in the end. 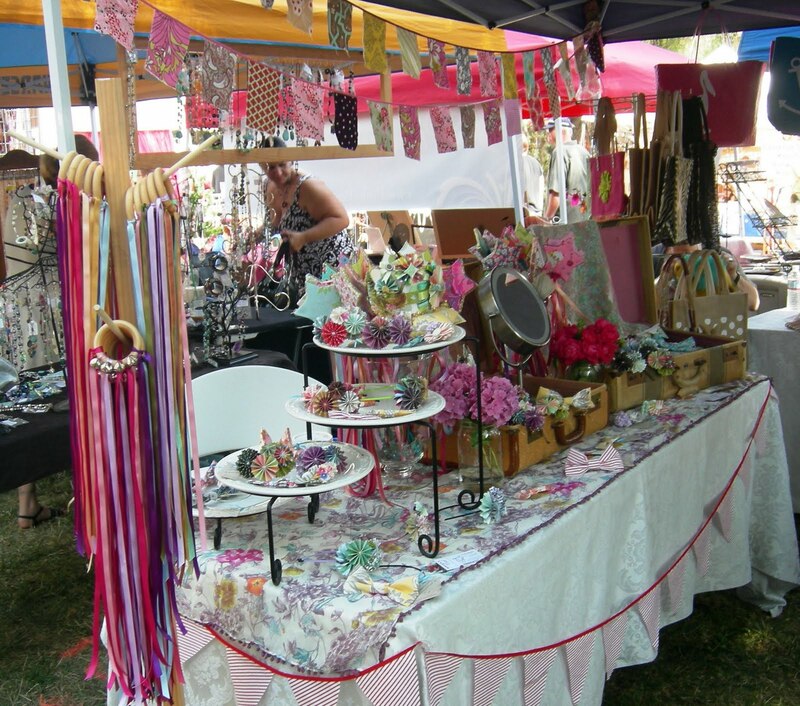 Hope to see you soon - I do plan to come to the Vintage Market Place show in September!